Solitude is not always lonely, nor always so sweet as splendid isolation. More often it hovers between, ambivalent yet beautifully apprehended by Hana Vu on her debut EP How Many Times Have You Driven By. Written and produced by Hana herself, the EP masters the defining balance of bedroom pop: it’s warm, sparse, and whisper-intimate yet at the same time wholly radio-ready. The opening “Crying on the Subway”, set on the purgatorial Metro Red Line between downtown and the valley, is saturated with a mood of L.A. noir, with Hana singing to her reflection: “In my dreams I’m in that grey room. In my chest I’m feeling dark blue. Take the Red Line into downtown. I’m trying to escape you.” It was this song— or rather its accompanying video— that first tripped the sensors of Chris of Luminelle Recordings, a recent offshoot of Fat Possum. 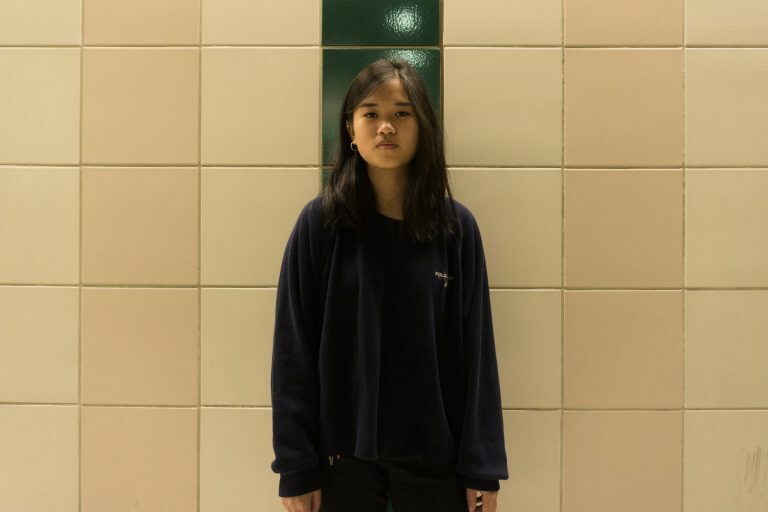 The precocious Vu, at only seventeen, had already written music for five years, self-released an album on Soundcloud featuring a collab with Willow Smith, and polished up enough new songs for a gem of an EP, which they eagerly signed, pressed, and called in Clay Jones (Modest Mouse, Sunflower Bean) to master.